The Angry Birds Movie ($39 million) just beat out Captain America: Civil War ($33.1 million) for the top spot at the box office this crowded May weekend. 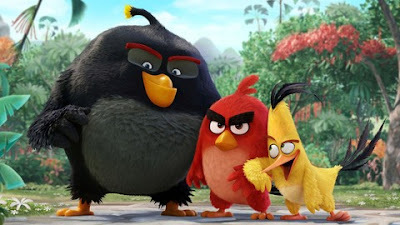 In fact, worldwide Angry Birds has already made $150 million. The two other newcomers, Neighbors 2 and The Nice Guys had a somewhat soft opening with $21.8 and $11.3 million, respectively... probably, somewhat taking each other's audiences. In other news, Captain America: Civil War became the first movie of 2016 to pass the $1 billion mark with Disney's other movies: Zootopia ($981.8 million) and The Jungle Book ($857.7 million) not far behind.